It is impossible to tell exactly how many species of wild orchids still live in their natural habitats. New species are still being discovered, but named species continue to become extinct. Some orchid lovers estimate that hundreds of species disappear every year, usually because of habitat destruction or poaching. There are two schools of thought about the best way to preserve wild orchids. In situ conservation means preserving a species in its natural habitat. Environmentalists insist that saving entire habitats is essential, not only to save orchids but to save the many species, named and unnamed, that share those habitats. Regions with very high biodiversity and endemism (presence of species that occur nowhere else) are the first priority in this approach. Ex situ conservation means saving a species by breeding it outside of its natural habitat. In the case of orchids, this could include botanical gardens and university research collections as well as private greenhouses. A number of orchid species, such as Epidendrum ilense, are extinct in the wild but exist in orchid collections. The presence of wild orchids in an ecosystem is a good indicator of a healthy ecosystem. Orchids are highly evolved plants, with each species developed to thrive in its particular site. Even small disturbances of the habitat can have a huge effect on resident orchids. Most orchid collectors believe that habitat destruction is the biggest threat to wild orchids. More orchid species exist in rainforests than in other regions, and millions of acres of rainforest are destroyed every year for timber, farming, mining, and other development. Unfortunately, many collectors rush to harvest all available specimens of wild orchids in any area they fear is threatened, which only guarantees that those particular species will become extinct in the wild. Many wild orchid species were lost in the Victorian period, when explorers collected every available specimen for their financial backers. Over collecting still threatens orchid species today. Nursery-raised orchids are expensive. They are time-consuming to raise and the necessary technology is not cheap. Dealers often find it quicker and cheaper to trade in illegally acquired wild orchids.Rare species are often easier to acquire from the wild than from nurseries. 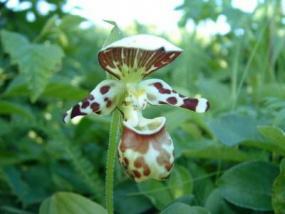 Individual wild orchids have sold for as much as $2000. It is relatively easy to fabricate documents so that the plant can be bred, displayed, or entered in competitions. The financial gain is an enormous incentive for poachers and smugglers. Smugglers often simply misidentify orchid species on export and import permits. One species of orchid can be impossible to distinguish from another when they are not in flower, even for a professional, so misidentification is hard for customs agents to detect. Wild orchids are protected by the Convention on International Trade in Endangered Species treaty, which has been signed by more than 120 nations. They are also protected by national and regional legislation in many areas. Under CITES, it is illegal to remove endangered or rare wild orchids from their native location. Some orchid collectors feel this makes it extremely difficult or impossible to remove rare species from habitats that are being destroyed. CITES does have a procedure to allow some specimens to be removed from the wild, but it is a time-consuming and complicated process to get permission. Most countries have restricted or eliminated the exportation of orchids. 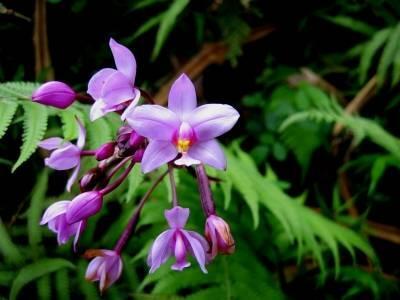 It is impossible to legally remove wild orchids from Borneo, Costa Rica, and New Guinea.